One Eternal Day: "To Create a Race of Thoroughbreds"
Sanger was a passionate racial-eugenicist with a crowning vision for what she openly called “race improvement.” The Planned Parenthood founder lamented America’s “race of degenerates.” The nation’s landscape needed to be purged of its “human weeds” and “the dead weight of human waste.” This included the “feeble-minded,” the “insane,” and the just plain “idiots.” Sanger shared the disparaging view of humanity held by another progressive icon, Supreme Court Justice Oliver Wendell Holmes, who declared that “Three generations of imbeciles are enough.” Like Holmes...Sanger hoped to finesse and refine the “gene pool.” She would do so not with gas chambers and concentration camps but with birth-control pills, eliminating human life before conception rather than after birth. 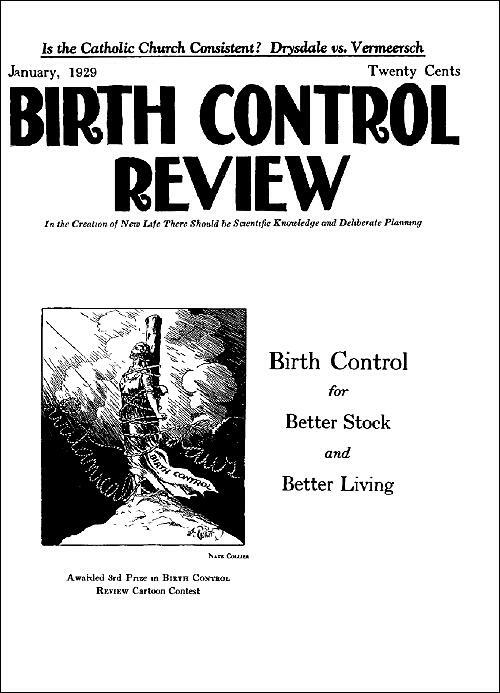 Thus, her Planned Parenthood, which was originally called the American Birth Control League. In this Sangerian vision, blacks were singled out.